ThinkTQ, Inc. is the world's leading publisher of virtual training products exclusively focused on personal and professional excellence — the only company with the tools, technology and automated systems that make it possible to instantly improve your performance — dynamically accelerating your potential for true and lasting success. We know a lot of other companies make this claim, but we have the means to actually deliver. In fact, we unconditionally guarantee it. ThinkTQ is in the business of measuring and improving human POTENTIAL — giving people a baseline reference point for meaningful change... and the TOOLS to rapidly hone God-given TALENTS into hard-edged SKILLS. Our prime directive is to make it easy for people to succeed. Every thought we think and every product we develop is designed to make it easier for ordinary people to produce extraordinary results. We believe that people get ahead by desire, passion and ability—stretching to success—rather than living a life of failed hopes, dreams and expectations—and that every person deserves the chance to achieve their most inspiring goals. We believe, and can now prove empirically, that what separates high achievers—the top 10% from the bottom 90%—is their intentional commitment to performance excellence. We believe it is time to change the old, inefficient and mostly ineffective framework of personal development, and replace it with a modern solution to offer encouragement, engagement, and immersive training—on a daily basis—leading to high achievement. Test the world's TQ and turn it up by 20 points... training people to unleash their full potential through a continuous process of Self-Measurement... Self-Evaluation... and Self-Improvement. This means quickly helping people learn, remember and master the success-critical skills required to produce outstanding results — both personally and professionally. One hundred million members worldwide by 2020. One billion members by 2025. Become the # 1 Training Portal for personal and professional excellence in the world... with our unique content available everywhere, 24/7/365: On computers, phones, tablets, watches... everything, everywhere. 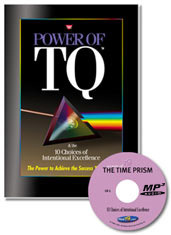 TQ is a fundamental engine of personal development. The Intellectual Property and Content is designed to be fully integrated into an immersive system of training and habituation... giving people thousands of points of contact where they can receive powerful training every time they check their email, phones, watches, etc. TQ is simply the high value low cost disruptor in the personal development space. There are some 2.5 billion smart phones, and our objective is to have TQ Inside on 1 billion of them in 10 years. 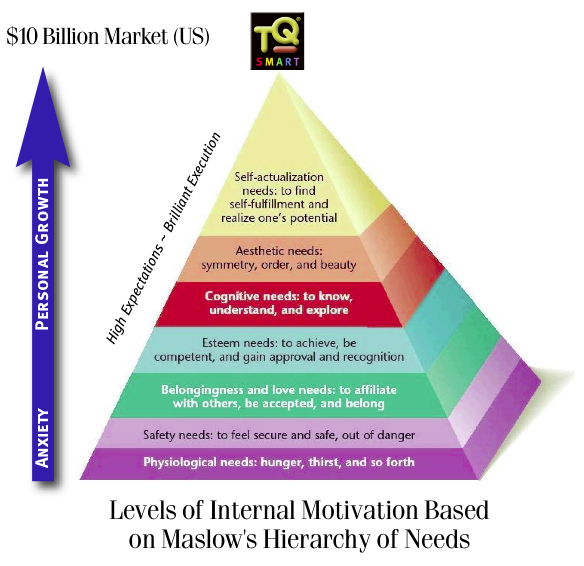 The need for success, after all, is a fundamental human desire, and as people globally move up the Maslow's pyramid, we all benefit from a smarter, safer world. ThinkTQ, Inc. is a privately held, Colorado corporation. Our financial goal is to brand TQ as the new form of "working intelligence", and create $3-5 Billion in shareholder value over the next 5 years. Following are the brief biographies of key members of the TQ launch team. Our people have the battle-hardened management expertise to assure a rapid deployment of ThinkTQ.com, bringing powerful, real-world experience and the ability to transform this unique opportunity into a world-class company. As a lifelong entrepreneur and founder of several successful businesses, Haas has the depth of experience and forward thinking that is critical to the development and full commercial exploitation of ThinkTQ.com and the family of TQ Smart sites. As a self-professed "training junkie" and a lifelong student of personal performance and time management, Kent brings firsthand knowledge and experience to the project. Kent supervised the research team of 30 and is a co-author. Michael has over 40 years of advanced, business commercial applications development experience. Michael has the ability to create system architectures that are highly effective and efficient, and can develop them in mission-critical time and environments. Jan has a proven track record in management and business operations and is responsible for the execution of all administrative functions. Business development executive with 16 years experience at director to vice president levels, working in growth-oriented organizations across a diverse set of businesses. Experience spans founding bare-bones startups, raising private capital, through IPO and acquisitions, to participating in everyday management of maturing businesses, including one year of international experience. Dan has been involved with the world of online communications as a user, pundit, programmer, and author, since well before the internet emerged into importance. He was one of the early users of CompuServe when it was a proprietary system. He remains an active and visible part of the online community. To date, over $12 million has been invested in the TQ content, databases, products, and systems. Experience, Dedication, Business Savvy, Street Smarts and Passion. We believe that if we help people become more productive, we can make the world a better place. So, every time YOU become more productive, the WORLD directly benefits. Think about it.